Announcing the Snow Mountain (3886) Spring Expedition on April 28 to May 1, 2012! 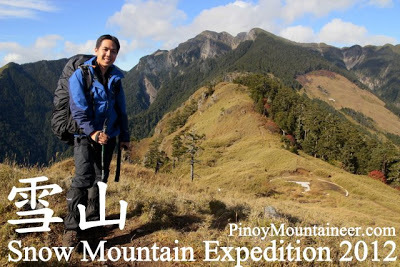 Fresh from our successful Snow Mountain ascent last year, PinoyMountaineer wishes to share the experience of hiking in Taiwan by organizing another expedition to one of East Asia’s highest mountains for Spring 2012, in an exciting trip scheduled from April 28-May 1, 2012 (see itinerary below)! This trip is designed for an initial experience of high altitude climbing in a semi-temperature country. 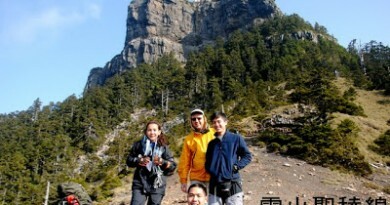 Snow Mountain, at 3886 MASL, is almost 1000 meters higher than Mt. Pulag and Mt. Apo, thereby creating a logical step for Filipino hikers. Notably, the Snow Mountain trek is significantly cheaper than the Kinabalu trek, thus making a nice alternative, or even a next destination for those who have already done Mt. Kinabalu. Building on the our expereriences in hiking in Taiwan in Spring and Autumn 2011, we have designed an itinerary that enables the participants to experience not just Snow Mountain, but Taiwan itself. The scenic hot spring village of Wulai, with its famed waterfalls, is our pre-climb sidetrip, and our coordinators will also take you to Zhongshan Street in Taipei, with its breathtaking bargains – and where alpine gear can be purchased in affordable prices. 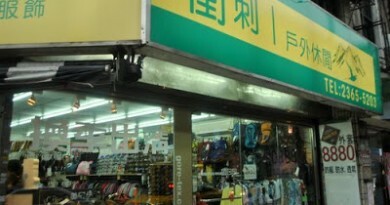 Finally, the participants will have time to tour Taipei on their own, in the evenings of Day 1 and before returning back. Moreover, we have also crafted the itinerary with the Cebu Pacific flights (the cheapest to Taipei) in mind. To prepare participants for the unique experience of mid-high altitude climbing, an introduction to alpine climbing will be conducted at R.O.X. Philippines as part of the pre-climb/orientation. 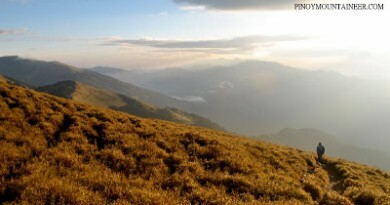 Moreover, a training climb in Pulag via the Akiki Trail will be organized to those who are interested. 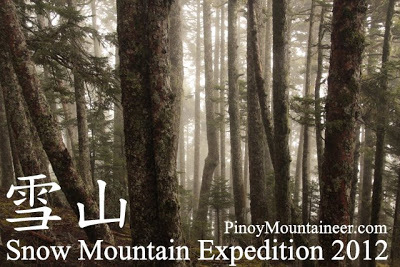 With these preprations, any Filipino hiker can be prepared for this exciting expedition. Only 20 slots will be opened for the cimb, and some of my friends have already reserved some of these. Thus, seriously interested parties are enjoined to contact us immediately to make your reservation. We will also provide assitance in visa applications for those who will require them. The mountain huts in Snow Mountain are very basic but very comfortable. A Taiwan visa is required for Filipino passport holders, although holders of valid US, Canada, Schengen, Australia, New Zealand, and Japan visas are exempted and need only to secure an online entry permit form. 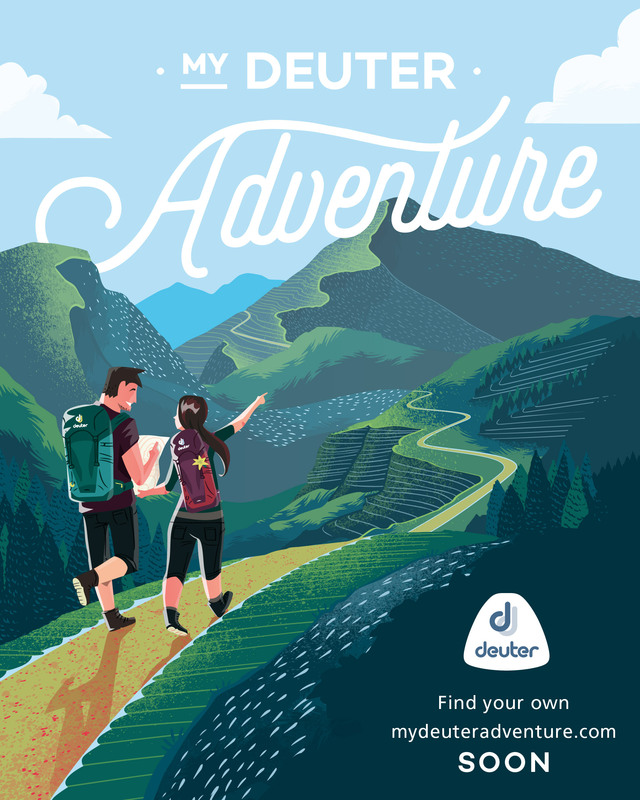 ← Hiking matters #236: …and again! Maktrav for the second time in three days! 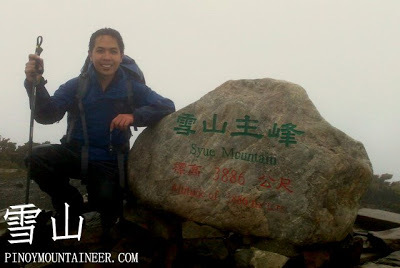 1 Comment on "Announcing the Snow Mountain (3886) Spring Expedition on April 28 to May 1, 2012!" I would like to inquire about the cost of the application for the Taiwan Visa. Thanks!